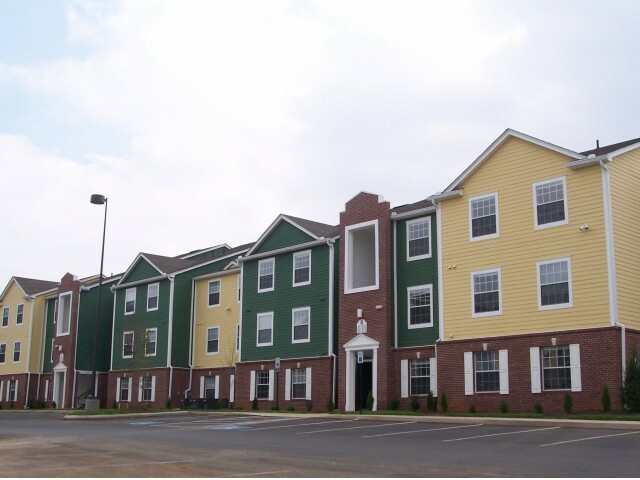 Hilltop Club’s Western Kentucky University apartments make it easy to live well and study hard. Located in Bowling Green just minutes from campus, our 3- and 4-bedroom apartments are fully furnished and come with their own washer and dryer. Rent is all inclusive and we even offer a roommate matching program. With a 24-hour fitness center, basketball and volleyball courts, and a resort-style pool on site you won’t have to buy a gym membership as long as you live here. And our 24-hour computer center and study lounge lets you catch up on schoolwork whenever your schedule allows. Plus, our movie theater with stadium seating and TV lounge are great places to hang out with your friends and neighbors. Contact us today to schedule your tour of our outstanding community. We’re happy to show you around!